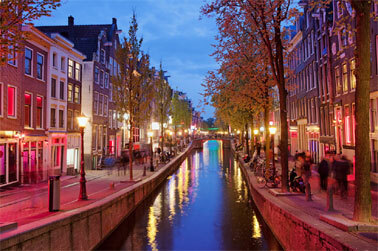 Amsterdam, the capital of the Netherlands, greets the visitors with a plenty of museums and attractions. Every year it is visited by more than 4.5 million tourists, for whom the luxury hotels with a wide range of high quality services open their doors. There are presented the most famous five-star hotels in Amsterdam. Hotel Okura surprises its guests with a wide range of services, from deluxe rooms to spa treatments and culinary delights. The hotel offers a wide range of services for rest and relax: a Japanese-style spa, pool, saunas and more. The building is located close to the Museum Quarter. On the 24th floor is a bar-restaurant, where you can enjoy a sumptuous panorama of the city. The hotel has 4 restaurants, each of which has one or two Michelin stars. 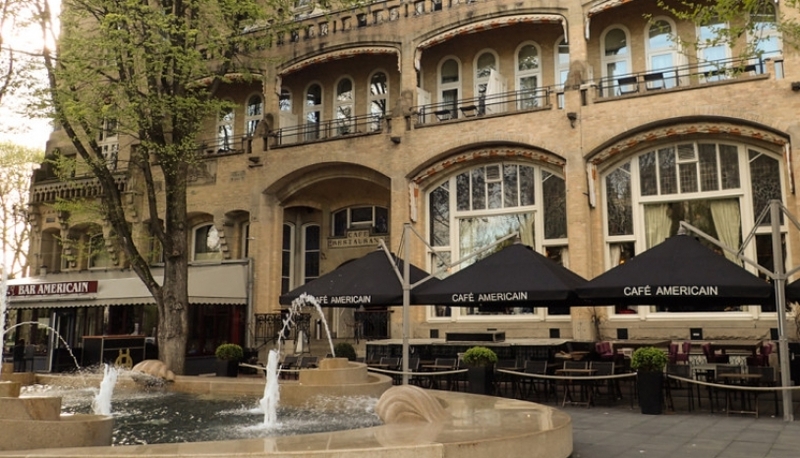 Hilton Amsterdam hotel is situated not far from the Amstel River and Dam Square. It is easily accessible from the railway station (no more than 10 minutes) and from the international airport. The hotel has 247 rooms for guests accommodation. The minimum price for the room is 248 euros. There is a restaurant, serving lunch and dinner, in the hotel. The hotel's rooms are luxuriously furnished and equipped with space television and modern TV sets. But the guests have to pay extra for movies viewing. At any time of day or night, visitors can go to the fitness center, and the hotel has a lounge bar, restaurant and cafe. The hotel has 402 rooms, a minimum price is 234 euros. Like other first-class hotels in the city, Amsterdam Marriott Hotel is located near the main attractions. Leidseplein and Vondel Park are not far away from the hotel. Amsterdam Marriott Hotel offers 396 elegant rooms in pastel colors, with work and sitting areas. Each room also has a plasma TV and space television. The fitness – room works day and night. The hotel has a restaurant, where you can enjoy American and European dishes. The minimum price for accommodation is 312 euro. It offers rooms with large windows, decorated in a modern style, each room has a mini-bar. Guests have an access to a wide range of cosmetic services, massage, satellite TV, a gym and an indoor pool. You can also relax in the Turkish bath or sauna, and try spa treatments. Small, as compared with the previous ones, hotel, which has just 111 rooms, is not inferior in comfort. Heated floors, a modern sound system, two restaurants and a bar with live music will allow to enjoy a pleasant stay in this place. The hotel has a wellness center and spa. You can also take the private parking place at an additional cost. Rembrandt Square, the Kalverstraat shopping street and the famous Dam Square is located nearby. The minimum price for accommodation is 431 euros. Another five-star hotel InterContinental Amstel Amsterdam is located in an old monumental building, not far from the city center. The hotel has a total of 79 rooms, furnished in the Victorian style. The windows overlook the Amstel River or the historical part of the city. The rooms are equipped with all modern conveniences, but you have to pay extra for the use of internet. The hotel has an excursion office, cloakroom, dry cleaners, laundry and a souvenir shop. The minimum price for the room is 429 euros.